So with summer fading and the first week of 2L looming, I find I haven’t entered the necessary mindset to grapple with complex law questions just quite yet. In fact, the only duty of care I’m interested in at the moment is the one ensuring I make it to Tuesday at least somewhat awake and in the correct classroom. Having said that, my attention was piqued earlier today by a retweet from the Los Angeles Times: “Can you be held responsible for a crash that happens miles away because you texted the driver? N.J. Court says yes.” It speaks to just how immersive the law school experience is that immediately after seeing it, my brain pushed aside thoughts of what I was doing tonight and whether Miley Cyrus was currently twerking, and decided to delve into what was actually behind this provocative headline. The Lowdown: A New Jersey Appeals Court oversaw a lawsuit where a couple lost both of their left legs due to a texting driver (Kyle Best) swerving into them. The attorney argued a new cause of action in that that the individual who had been exchanging texts with the driver was “electronically present” and thus somewhat responsible for the accident. The three-judge panel decided that the texter in this case was not guilty as there was no way of knowing whether she knew Best had been driving at the time. The court provided a hypothetical to help prove their reasoning. If A was driving, and C in the backseat suddenly called out to A, taking his attention away from the road and leading to a crash with B, doesn’t that mean C was negligent towards B? 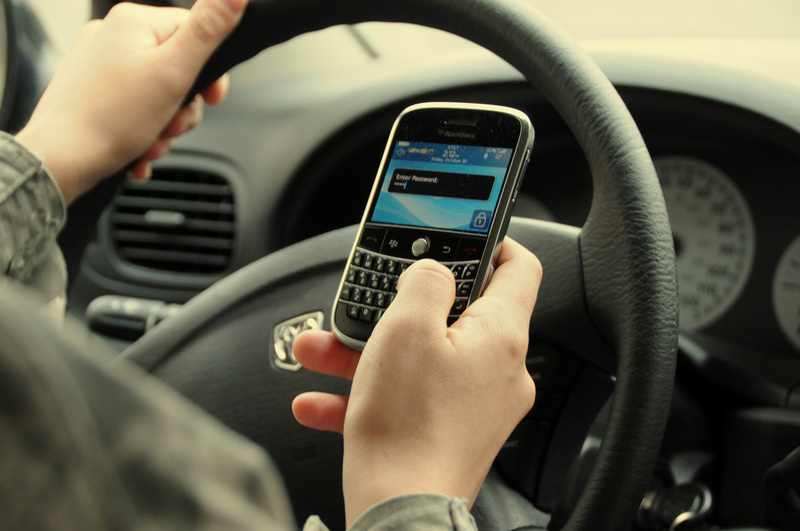 The court states that by texting a driver knowingly, the texter is showing the same amount of negligence towards the public. So what does this mean? The first issue that comes to mind is simply that it is going to be extremely difficult to prove that a texter knew the textee was driving, unless it’s stated or conveyed in really explicit terms through their communications. Furthermore, the judges stated that the texter would have to know that there was a likelihood that the driver would respond. This is essentially impossible to prove. Even if a texter knew that the textee was driving, they can argue that they knew the driver wouldn’t respond. In New Jersey law, the burden is on the plaintiff to prove negligence, and any kind of doubt could sway the balance of probabilities. Secondly, sharing responsibility with a duty of care towards the texter might be targeting the wrong party. Any driver would be likely to get a call or text at any moment. The onus should continue to be with the driver to maintain their attention on the road rather than their mobile device. In the end, it is their decision to take a glance at or pick up their phone, and it could be problematic to place the burden of responsibility on another party. Alternatively, what would happen if a texter either called or texted the driver who responded with “I’m driving”, and the texter continued to maintain communication? In this scenario, it would have already been expressed to the texter that that the driver was in fact driving, and yet the texter would have persisted. Does this mean that there is some semblance of shared responsibility? It’s an interesting question to look at, and most likely the very reason that the New Jersey court introduced the possibility of such a provision. Does the remote texter have a duty of care towards the public to ensure they don’t distract the driver in any way? With laws regarding the use of cellular devices getting stricter around North America, there is definitely a chance this duty of care could be implemented. Nonetheless, it ultimately comes down to the driver having the final decision in whether to use their device, and this remains the biggest reason why it would be hard to prove the texter’s responsibility. This hasn’t yet become criminal law in New Jersey, but the judges have introduced the possibility that under current laws against distracting the driver, the texter may be held responsible. It will be interesting to monitor the progress of this and see whether other states or even Canadian provinces take a similar stance. Until then, it’s probably best to leave your cell-phone where it is when driving. I mean, that drunken law school story can probably wait, right?